There is a lot more to shoelace tying than meets the eye. Of course the interweb has plenty of info. 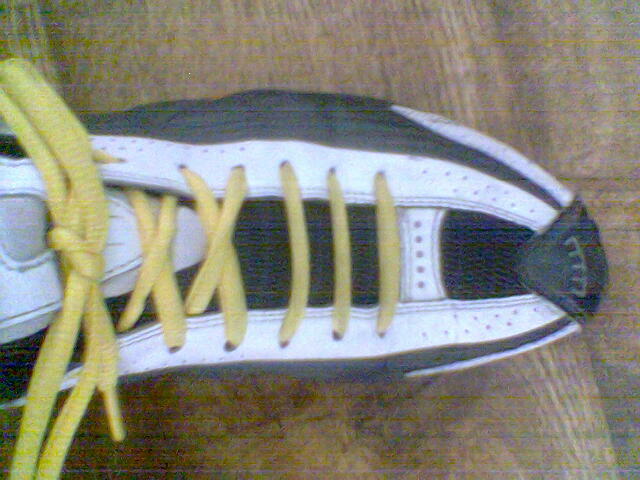 Currently on my white Nike shox I am doing a retro tip-o-the-hat to Michael Jordan’s 23. The two crossovers, and 3 straight give a nice roman numeral representation of 23. Now to try it in Hex…. Design by :Templated, hand-crafted bytes by Jason.